Muscular Dystrophy Association (MDA) returned to its roots as it lit the way to its future during its brand re-launch on Friday. The Chicago-based organization held the re-launch at Carnegie Hall in New York City, the site of its first telethon in 1956. MDA’s re-launch includes a new blue and gold logo with a heart within the “D,” a new campaign title, “Live Unlimited,” and a new tagline “For strength, independence and life.” “Today” show anchor Natalie Morales and Jann Carl of “Entertainment Tonight” fame, both MDA national vice presidents, participated in the relaunch. Comedian Jerry Lewis, who hosted the organization’s telethon until 2011, recorded a video message for the event. “When I see the new heart in the MDA logo, know that I see my own heart,” Lewis said. Cure. MDA leaders committed to doubling research on drug development and clinical trials. MDA awarded 103 research grants totaling $27.3 million in 2015, according to the organization’s website. Care. 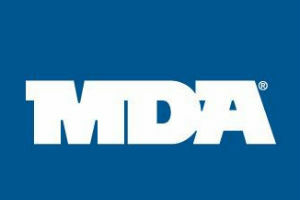 MDA plans to increase its support and care to families to 150,000 by 2020, a 50 percent increase. Support services will extend to telemedicine and digital tools such as a research center that will connect individuals and families to experts in the field, Rosa said. Champion. Along with a refreshed website, MDA will offer a blog feature that will allow individuals to share their stories and experiences with neuromuscular diseases. MDA also plans to send 20,000 children to its weeklong summer camps at no charge to families. The brand re-launch comes at a time where the science around muscular dystrophy is experiencing significant advancements, MDA officials said. The first possible treatments for the most common form of muscular dystrophy, Duchenne muscular dystrophy, have come before the FDA. Additional advancements are expected to follow behind. “More drugs are in the pipeline for the next five years than the past five decades,” said Steve Ford, chief communications and marketing officer. Friday’s event consisted of several videos and interviews with families impacted by neuromuscular diseases and what “Live Unlimited” means to them. During the proceedings, Joe Akmakjian, 24, of Fort Collins, Colo. was announced as the organization’s 2016 national ambassador. Akmakjian is the first adult to serve in the role. Akmakjian will travel across the country and meet with sponsors and families in his role as ambassador. Prior to the event, Akmakjian said that MDA has always been proud of its past, but will look forward by connecting more with the adults who are aging with the disease as well as engage the digital age with engagement on multiple platforms. “Live Unlimited” will extend through MDA fundraising programs and a new cause marketing campaign will kick off this summer. For more information, visit www.mda.org.